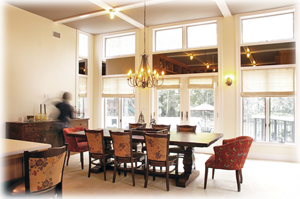 When your plans call for standard or custom designed window treatment Bettertex has you covered. Bettertex Interiors works on site with architects to make sure the drapery plans are perfected from A to Z. We offer a full range of custom window treatment draperies, roman shades for residential and hospitality clients as well as solar shades, blackout shades for the office work place. Our popular motorized shades and draperies are one of our specialties and we would be happy to help you upgrade your shades using great motors. We offer our architects and clients full service by providing onsite measuring as well as installation. Quality and on time performance are a necessity for all architects, that is why Bettertex Interiors has you covered. Our local soho workshop allows us to allow quick turnaround on all projects and rush orders as quick as 1 or 2 business days!